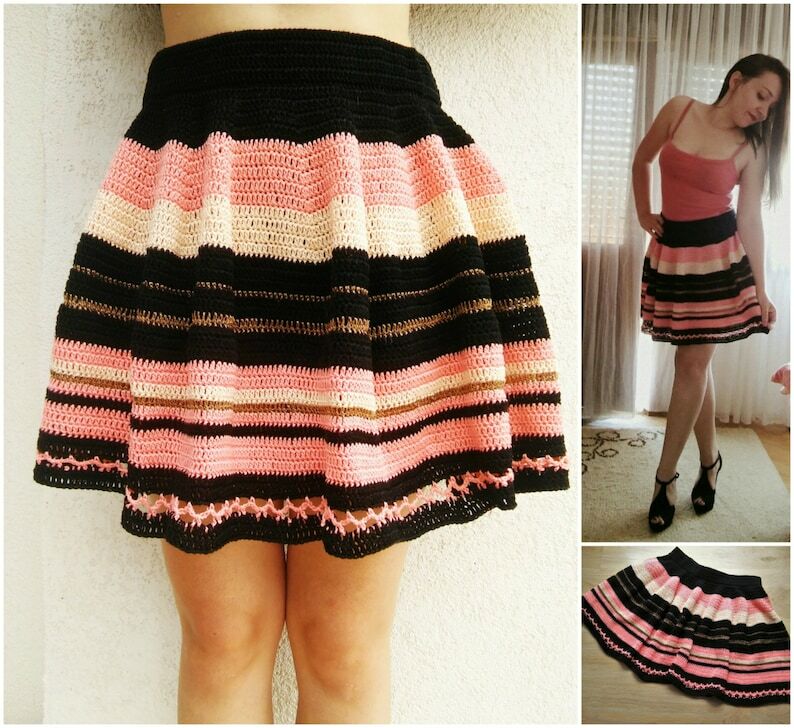 This is a PDF pattern - not the actual skirt! This pattern contains the instructions on how to easily make measurements for all shapes and sizes. From babies and toddlers to adult sizes. •	cotton yarn sport weight (5 ply / 12wpi) , I used Catania from Schachenmayr. •	wide elastic [I used 4cm(1,5 inches) wide. If you’re making it for a toddler or smaller child, use 3cm (1,2 inches) or 2cm (0,8 inches). •	Beginner level crochet, knowledge of chain stitch, single and double crochet stitches, slipstitch and basic increases. •	Reading pattern in US terminology. You'll be able to download the files here on Etsy as soon as your payment has been confirmed. You'll receive an email by Etsy including your download link in addition. Pattern looks lovely. Easy download. Many thanks.